Merriam-Webster dictionary defines "performance" as the "execution of an action." The quality of the execution is left up to the interpreter and the people who witness the execution. In the business world, performance expectation can't be left up to interpretation. A performance agreement is often used to ensure quality performance criteria are met. 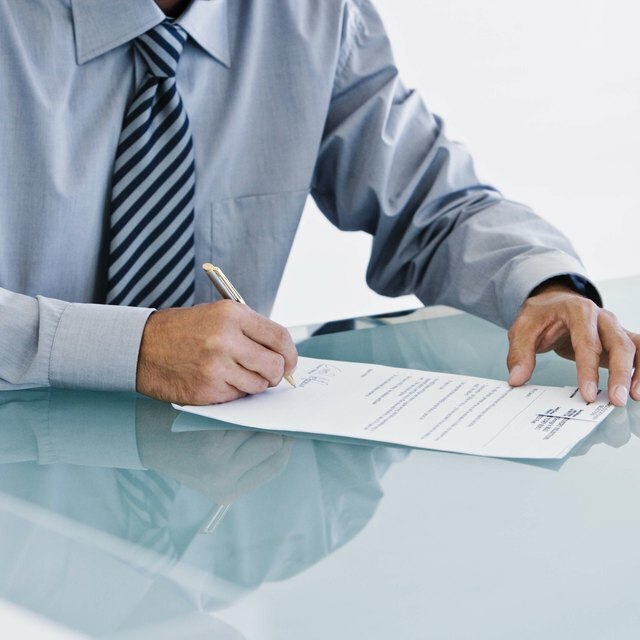 What is a Performance Agreement? A performance agreement is a method of establishing expectations and accountability for meeting a set standard of execution excellence -- and the consequences for not meeting them. Two or more parties agree on the actions the performer will execute and agree on the expected results from executing those actions. Oftentimes, there are consequences if the performer doesn't deliver as agreed. Managers at major corporations have used performance agreements as a job performance improvement tool. However, performance agreements can be used for new hires before they start to develop bad habits. The Management Trainers at MindTools suggest on its website, "When establishing performance expectations, the overall objective is to come to an agreement that supports your organization's strategy." The employee rarely has any say in these matters, but it is an ideal time for her to express any objections she may have before promising to perform any of those actions. Business partners have used performance agreements to define each members' role in the partnership. This helps to avoid any disputes about who is putting more work into the company. In the event of a legal dispute between the partners, this document can also serve to make the case for the partner who feels wronged. Each partner signs the agreement and details his own performance objectives. Performance agreements are common between businesses and the entertainers they may hire for club performances, office parties, etc. According to many entertainment lawyers, if a band or act is not paid by a club or other business, the signed agreement may trump any verbal amendments that the business owner can claim he made as a reason for not paying. Performance agreements should be negotiated before either party signs. The manager or business owner should encourage feedback from the performer to eliminate discrepancies later. To make it easier for the performer to meet the criteria, attempt to align those goals and actions with her career plan. The manager should also list his own responsibilities to the performer. Establish a follow-up date to revisit the issue with the performer and check progress.